Annie Kirkwood, author of the best-selling book, Mary's Message to the World (Berkley 1996, Putnam 1994, and Blue Dolphin 1991), lives in Northeastern Oklahoma with her husband Byron Kirkwood. Annie and Byron moved from their Carrollton (Dallas) location to Oklahoma in 1995. In 1986, Annie began communicating with a group of spiritual entities that call themselves the Brotherhood of God (commonly known as an outreach of the Holy Ghost), after reading Jean Foster's book, The God-Mind Connection. In 1987, Annie began to feel a very real presence in her home and experienced the smell of roses. An incredible experience began when Mary, the Mother of Jesus, called to Annie. Not being Catholic, Annie thought this was a mistake. She began a dialogue telling the Blessed Mother that she wasn't Catholic and didn't wish to convert. After several such experiences, Annie said, "I think you've made a mistake, I'm not Catholic." Mary responded with, "Nor am I." From the beginning Mary charged Annie with a message that was for the world. Thus began an amazing conversation that became the book, Mary Message to the World. Mary's Message is now available in over a dozen foreign languages. Annie's other books are, Mary's Message of Hope, and Mary's Message of Love, and she has coauthored with Byron, Messages to Our Family and Instructions for the Soul. Annie has been a Licensed Vocational Nurse (LVN) since 1965. Annie and Byron are a blended family, having between them five sons, three grandsons, a grand-daughter, and a great grand-daughter. They publish a bi-monthly newsletter, "Mary's Message/Newsletter." Annie and Byron have a catalog mail order business, marketing products for spiritual advancement and emergency preparedness. Annie travels giving talks, workshops and seminars. Having been urged by Mary to "Live the message," the Blessed Mother has directed Annie to encourage people to do the same. Annie speaks from the heart about her experience and her personal dedication to spiritual growth and healing. When she's not working, Annie enjoys playing the piano, painting, and works in her yard. Annie has appeared on NBC's "Ancient Prophecies IV: The Final Visions" on June 1996, The Fox Network's show "Strange Universe" on Jan 1997 and March 1997, BBC's "Everyman" show in Europe in February 1996, the Cristina Show (in Spanish, Sept 29, 1999) and numerous local TV and radio shows. The radio talk shows include Art Bell's Dreamland and Coast-to-Coast shows and the Howard Stern Talk Radio Show (April 2, 1998). the Spirit Link newsletter interview with Annie Kirkwood (Winter 1996-97). And: Epiphanies: A Journal for Spiritual Insight (September-October 1997). Byron Kirkwood is truly an entrepreneur, having started several businesses for himself and others--he loves to start new ventures. He is currently the owner and founder of B&A Products, a mail-order company specializing in products for spiritual advancement and emergency preparedness. This somewhat unusual combination is a result of his first book, Survival Guide for the New Millennium, and his wife Annie's best-selling book, Mary's Message to the World. Between them, Byron and Annie have authored six books. His background is in electronics and microcomputers; he majored in electrical engineering and minored in computer science at the University of Texas at Arlington (between Dallas and Fort Worth). When he turned forty, he decided to get an advanced degree in business. 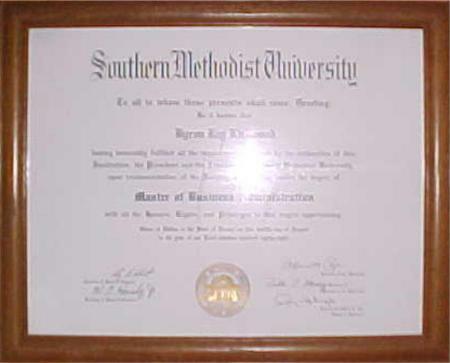 In 1988 he graduated from Southern Methodist University with an Executive MBA (Master of Business Administration). When Byron was in his early twenties, he started his own electronic components distributorship, KA Electronic Sales, which literally grew out of his garage into a company that, at one point, had fifty employees in four locations in Texas--Dallas, Garland, Austin and Houston. In the late 1970s, he recognized an opportunity with the new "hobby" computers and opened one of the first computer stores in the country, The KA Computer Store. KA Electronic Sales and The KA Computer Store flourished for ten years, until a major recession led to its demise. During its heyday, KA, as it was called, used some very innovative techniques for marketing. KA was the only industrial electronic distributorship that also had over-the-counter sales where industrial customers and hobbyists alike could visit the warehouse and personally pick out electronic components. Plus, KA had the standard inside and outside sales force. Then, with the advent of the personal computer, the walk-in customers could visit the next room and observe the latest in computer technology, like the popular Apple II. The KA Computer Store was one of the first Apple dealers in the country. KA was a leader in computerizing its operations, by installing the second IBM System/32 in the IBM Texas region. Many large local companies, including competitors, visited KA to see how operations like inventory and accounts receivable were handled. Byron taught himself the computer program language RPG II and wrote the programs himself, after a part-time programmer quit in the middle of the first major task. Later, when IBM introduced the System/34, KA was one of the first customers to order and install this true multi-user system. His application programs were so good that several other companies later purchased and installed them. After closing KA, Byron became a business consultant to those who wanted to enter the exciting new microcomputer industry. His consulting work led to one telecommunications distributor's expanding into microcomputer distribution. He helped raise seed money for a microcomputer peripheral manufacturer. He helped position a consumer electronics manufacturers' representative firm to get the lucrative Apple Computer line when they decided to use manufacturers' representatives. During this period, he produced a newsletter for the microcomputer industry directed toward the four-state market of Texas, Oklahoma, Louisiana, and Arkansas (referred to as TOLA). In that newsletter, he observed trends, including the concept of tying computers together into what is now called a network. One of his newsletter subscribers contacted him one day and told him that he had just accepted a job for a small company out of Orem, Utah, named Novell, that made networks. He asked Byron, because he knew he had many contacts, if he knew anyone who would want to work for him as a regional salesman for the new company. Byron suggested that he would like to apply for the job, which was what his friend was wanting to hear anyway. 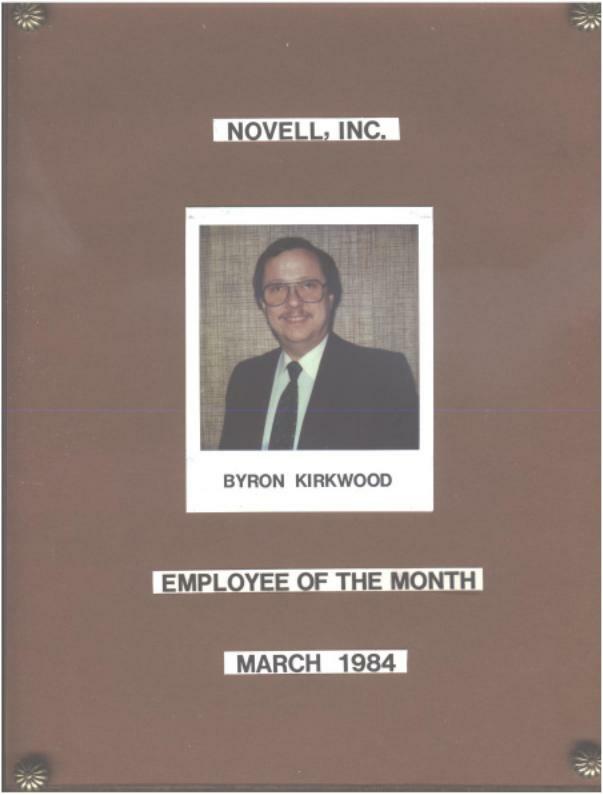 Thus, Byron became employee number thirty-four at the fledgling networking company, Novell--now the leader in this industry. He was hired as a regional sales manager covering the eleven states from Texas to Florida. Later, he accepted a promotion as the national retail sales manager, signing the country's five largest retail computer chains: ComputerLand, Entre, MicroAge, Valcom, and BusinessLand. After leaving Novell, he was immediately hired to establish the U.S. operations for a virtually unknown Canadian local area network ARCnet board company. He hired a staff and sales force and established the channels of distribution, using distributors, dealers, and OEM customers. At its high point, the U.S. operation employed sixteen people and held the number two position in the marketplace. For this company he also started a newsletter that kept the customer base informed of new products and marketing techniques. His next experience was a whirlwind adventure. He was hired as the sales and marketing expert for a three-man turnaround team to rebuild a fledgling computer tape backup manufacturer. When the turnaround team arrived, the company, with 12 million in annual sales, was losing $250,000 per month and didn't have long left in business. After four months, the team was able to turn the company around; and it was later successfully sold to a larger company. It is still in existence today. After the turnaround experience, Byron started his own manufacturers' representative firm, CompuRep, serving the computer industry. As with all manufacturers' representatives, there is a constant battle to get sales for the manufacturers, carry all your own expenses, and then get the manufacturers to pay you the money they owe. After two years, he phased out this operation to start B&A. Byron and his wife, Annie, are both graduates of the Dale Carnegie course in public speaking. They live in northeastern Oklahoma, having previously lived in the Dallas area. They publish a bi-monthly newsletter, "Mary's Message/Newsletter." They are a blended family, having between them five sons. Byron's hobbies include amateur radio (KJ5DB), emergency preparedness, gardening; and he is a volunteer fireman. 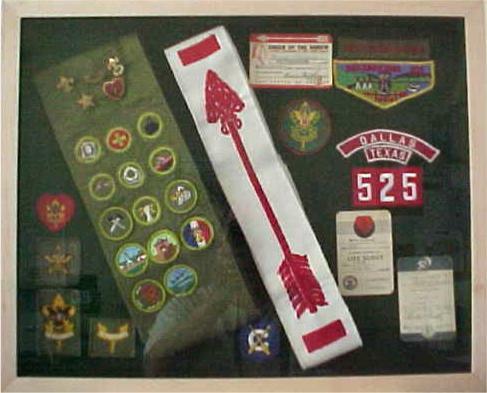 He was previously a Life Boy Scout, a member of the Order of the Arrow, and a reserve police officer.